Kanye West has been in Asia visiting some of the people who have helped him along the way. Fan group Team Kanye Daily has been updating Twitter as West moves around the continent. First, he spent time in Guangzhou, China, at the Adidas plant where his Yeezy sneakers are manufactured, snapping photos with the team there. It wasn’t that long ago that people like fashion PR guru Kelly Cutrone was out in the press saying things like, “I’m not into his fashion thing. I think he’s fine as a rapper. I think he’s a joke as a fashion designer” to People. Now, just a couple years later, West’s sales are way up, and his Yeezy Seasons are being taken seriously in the fashion world. In 2016, his Boost sneakers sold out in four minutes, according to XXL. 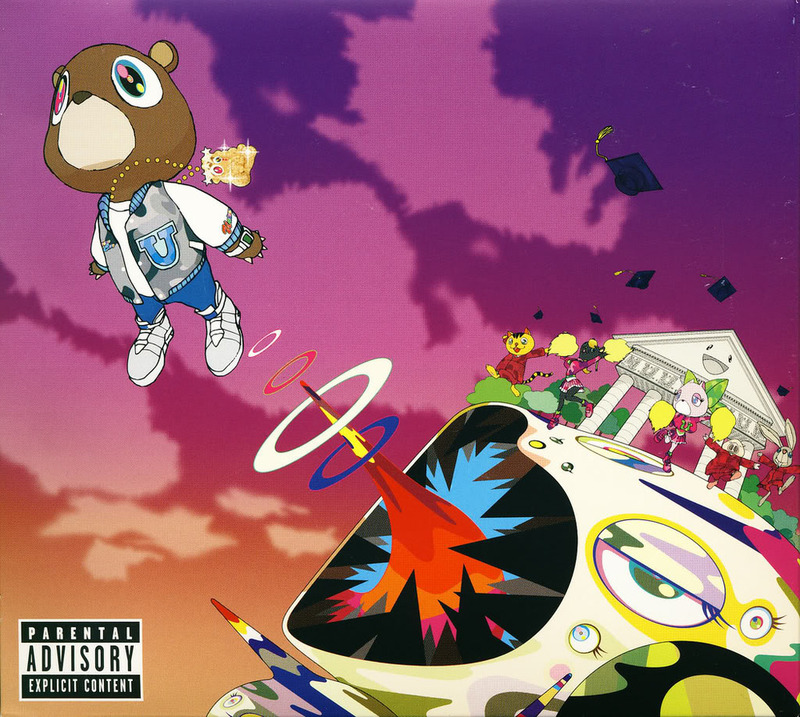 From China, West traveled to Japan, where he and Kid Cudi visited Takashi Murakami, who designed the album art for Graduation and is responsible for the visuals in the “Good Morning” video. Murakami posted a photo with West and Cudi on Instagram in front of a wall of art reminiscent of the hallucinogenic space stations of the Graduation cover. Murakami also posted a shot of when he first met West “over 10 years ago.” (Kanye’s Bape hoodie gives away the time period.) Graduation celebrates its 10th anniversary this year. first met w Kanye looks over 10years ago. An interesting wrinkle to West’s Asia excursion has been speculation on the imminence of a new album, perhaps slated for December 31 of this year. Team Kanye Daily has noted that several people commented on Murakami’s IG post with a variation on “Coming Dec. 31 #EverybodyWins”. Of course, now the internet rumor mill thinks we have a title and a release date for a new Kanye West album. What we have for sure is West working with frequent collaborator Pusha T in a studio in Wyoming, and Georgia rap trio Migos in Calabasas. Not exactly enough evidence for a forthcoming album but the “I Am a God” rapper works in mysterious ways. West continues his Saint Pablo Tour on August 25 in Indianapolis. The massive tour runs through the end of the year, when West will play the Barclay’s Center in Brooklyn on New Year’s Eve.